I treated myself to Every Day Magic in paperback in early December with some of my birthday money. 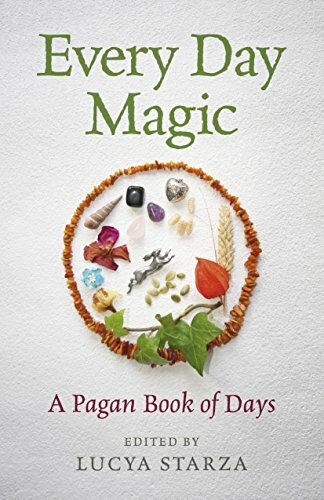 Every Day Magic, A Pagan Book of Days, is a gem of a little book. On every page are treasures, ideas, recipes, meditations, spells and so much more. Whatever pantheon you follow, or even if you don’t follow one at all, you’ll enjoy exploring thoughts from other lands and belief systems. I read this book from cover to cover first but it’s an ideal book to dip into at Sabbats and Esbats or just because you feel like it. A perfect book to bring a little magic into every day. Reblogged this on The Pagan & the Pen ~ An Online Magazine!.